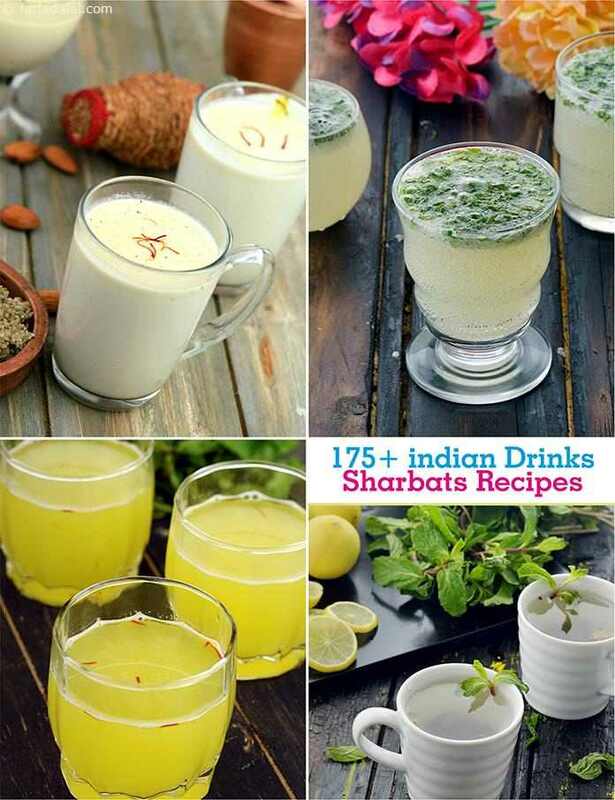 Sharbets and Indian Drinks bring back memories of festive occasions when steady streams of visitors are enthusiastically entertained and treated to mouth-watering snacks and mithai accompanied by these rejuvenating drinks. Any Indian household keeps a handy stock of ingredients needed to make drinks like Chaas , Cardamom Lassi , Kairi ka Pani , etc., especially on hot summer days. Its a ritual in India, when anyone comes home, not to let them go without having anything. So these drinks are very handy and are prepared just in few minutes and can be served to the visitors. Every region has their traditional specialty. So be ready to find a collection of such drinks in this section. A delicious cooling drink for summers which helps keep dehydration at bay.